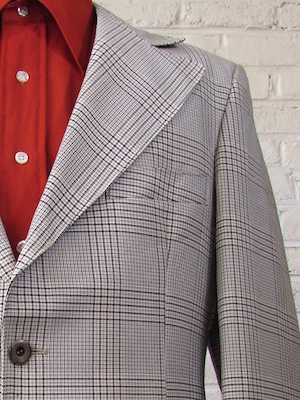 Vintage 1970s Mens 2pc Polyester Disco Suit! 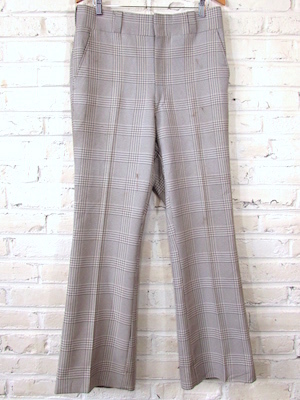 Set the dance floor on fire in this fantastic black, tan and white plaid 2pc suit! 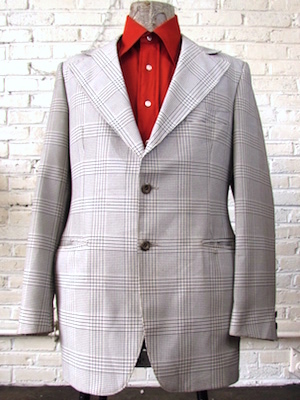 The jacket of the suit is styled like a traditional blazer, but with a super wide 70s collar and lapel! Closes in the front with marbled taupe & black button with two matching buttons on each cuff. Has three pockets in the front, the bottom two pockets have a flap closure. Center back vented to let your booty pop! Fully lined in a greenish taupe paisley acetate. 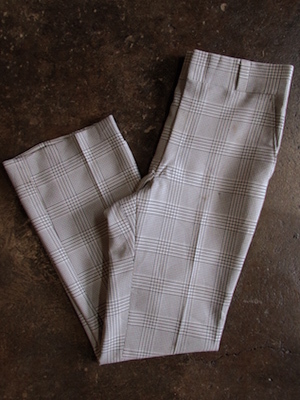 The matching pants have a double hidden tab closure and a hidden interior button for a more secure fit. 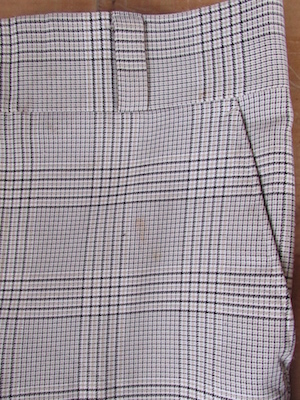 Four classic pockets with one button closure pocket in the back. Has extra wide disco era belt loops. Jacket is tagged Fashioned by Torre Philadelphia. No material tag, but feels like it is most likely polyester. Jacket: back collar has a light yellowish stain on it. The right upper back portion of the jacket has a few a few small brown stains. The right cuff has two small brown stains and the left cuff has a larger brown stain. Pants: There is some very light yellowing around the fly. There are some smallish-medium sized brown stains on both pant legs. One stain on the right leg and four on the left pant leg. Both of the back calves of each pant leg have a little bit of pilling on them. 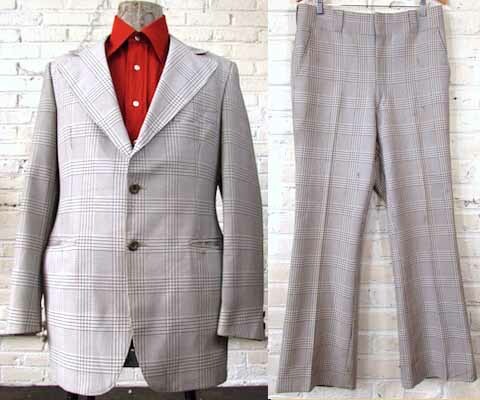 This is still a great suit for a disco party or other adventure! We have priced it accordingly. Sleeves: 33" collar to cuff / 27" shoulder seam to cuff. Tallish Please check your measurements!